The White House Many people think of the White House as the president's residence only, but the fact is The White House is also a functioning, publicly visited museum open almost every day for guided, free tours. White House Fundraisers Raise money for your organization with these decades proven successful fundraisers. People have been utilizing our fundraising programs for 12 years. Made in the U.S.A. our ornaments are loved throughout the United States and around the world. We offer fast answers, correct shipments, and solid profit margins. Presidential Inauguration Guide An informative guide about the presidential inauguration held in Washington, DC every 4 years including the history of the presidential inauguration, general inauguration information,security information, location, travel tips and much much more. Ronald Reagan Tribute Ornaments Ornaments honoring the iconic, legendary, modern day hero of the Republican party. Washington National Cathedral ornament. The Cathedral Church of Saint Peter and Saint Paul, popularly known as Washington National Cathedral, sits upon the highest point in Washington, DC. Technically an Episcopal church, and of Neo-Gothic design (this writer's grandfather was one of the last living Gothic architects who worked on the cathedral in the 1950's and 60's) the National Cathedral is number 6 and number 2 in size in the world and United States, respectively. Mother's Day Gift Ideas Show mom your appreciation and reason you're her favorite with one of these unique gift ideas. Lincoln Memorial A guide to the Lincoln Memorial website. With millions of visitors a year, the Lincoln Memorial is a destination for anyone seeking knowledge, solace and wisdom and it's open 24/7/365 days a year. Cherry Blossom Gift Items We stock the official National Cherry Blossom Festival gift items and souvenirs. Patriotic Glass Paperweights A great selection of 3-D, internally LASER-etched glass paperweights including (but not limited to) the Washington Monument, The White House, the US Capitol Building and the Iwo Jima memorial. Thomas Jefferson Memorial Dedicated to our 3rd president and constructed of marble, the Jefferson Memorial monument bears a striking resemblance to the Pantheon in Rome. In the middle of the open air structure is a 10,000 lb. statue of Jefferson, author of the Declaration of Independence and one of America's founding fathers. Cherry Blossoms First Day of Issue Envelope and Stamps The National Cherry Blossom festival have teamed up with the United States Postal Service (USPS) to create this first day of issue cherry blossom stamp and envelope. This is a great collector's item for people and collectors of Cherry Blossom Festival memorabilia of all ages. AChristmasOrnament.com offers artistic glass, ceramic and metal ornaments, as well as the White House collection of American made, keepsake quality ornaments. The Bureau of Engraving and Printing (BEP) A fascinating tour of the government agency which is responsible for printing United States paper currency, The Bureau of Engraving and Printing is a "must visit" on your list of places to see while touring Washington, DC. Father's Day Gifts Something patriotic or DC themed (or both) for that special father in your life. Smithsonian Institute Museums Washington, DC is known throughout the world for its huge number of free museums. The DC-based Smithsonian Institute is the world's largest museum and research complex, with 19 museums centers and more than 140 affiliate museums worldwide. DC Gift Shop DC Gift Shop endeavors to create and deliver unique quality gift products that educate, entertain, enlighten, and encourage awareness of the rich history of our nation's capital, Washington DC. Retail Christmas Stores - Stock your Shelves! White House Christmas Ornament features many ornaments that are unavailable elsewhere making us a perfect resource for retail stores. Summer Outdoor Patio & Garden Decorating Ideas All items manufactured in America to brighten any garden, porch, tree, patio, deck or solarium. DC Merchant DC Merchant.com has a vast array of customizable Supplying retail stores with custom products for businesses, celebrations, events, conferences, or any occasion. We have a vast selection of items which are all American manufactured such as frisbees, hats, mugs, ornaments, tee-shirts, and a selection of pewter. DCMerchant.com can supply your business with any item you need. The Kennedy Center for the Performing Arts: The Kennedy Center is well worth a visit for any tourist to DC. An awesome sight to behold in an idyllic setting upon the Potomac River, it is America's "living memorial" to President John F. Kennedy. MadeInUSAChristmas.com Support American makers of goods this Christmas and all year long by purchasing from an American producer. DCpages.com Washington DC's oldest and largest online business directory. DCpages size (90,000+ pages of unique content) and respected presence on the web (est. 1994) ensures your business listing will be heavily weighted on ALL major search engines and will improve your rankings, guaranteed. FreshChristmasTree.com We ordered a wonderful 7 foot Christmas Tree from this company. Political Gifts No matter your political party Washington, DC Gift Shop has what you need. A great way to show your alliance and affiliation with your political party of choice. 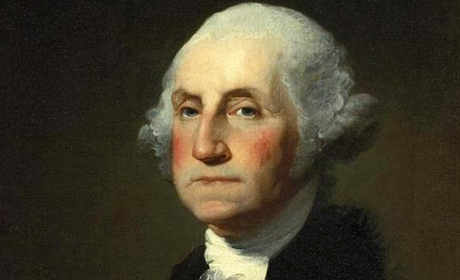 Annual President's Day Sale This company offers all manner of presidential gifts from paintings to statues to busts to paperweights and ornaments to celebrate the federal holiday also known as Washington's Birthday. Unique Valentine Gift Shop A unique shop for a memorable gift to your sweetheart on Valentin's Day or any time of the year. US Capitol Building The United States Capitol building is iconic in its structure and design and is the power center of the United States. In 2009 an underground visitor center was opened. The 580,000 square foot underground complex was completed at a cost of 621 million dollars and can accommodate 4,000 visitors at once. Washington DC Gift Shop Memorial Day Sale For one of the biggest sale days of the year, we are offering a savings of 20% on all orders. Washington DC Memorial Day Guide that is full of information regarding the history of Memorial Day as well as hundreds of images, events, Rolling Thunder information, and patriotic poetry. Washington DC Gifts and Souvenirs A comprehensive guide for anyone who has been to DC and didn't have time to pick up a souvenir or someone looking to purchase a patriotic or DC themed gift. Washington Monument A great guide to the 555 foot-tall monument honoring our first president provided by the National Park Service. Armed Forced Appreciation Sale Items to honor the men and women who have bravely served in the armed forces of the United States and heroically fought for our great country: Army, Navy, Air Force, Marines and Coast Guard. Also in stock is the Made in America ornament. ornaments while also offering all our ornaments in bulk prices. Custom Design Ornament Pricing sheet Pricing information for the custom designed ornament link directly above. Black Friday sale Black Friday has become a world-wide phenomenon with consumers lining outside big-box stores in pre-dawn hours to get super deals, usually on electronics. Come in and take a look at WhiteHouseChristmasOrnament.com's latest offerings! The National Mall Plan: Enriching Your American Experience A great resource for visitors to our nation's capital is this informative website brought to you by the National Park Service, overseer of the 309 acre National Mall. Cyber Monday Sale A follow up to Black Friday, the Cyber Monday is a relatively recent occurrence mostly due to the fact before about 1995, there was really no "cyber" anything. Item on sale include the Lincoln Memorial statue and the Washington, DC, 3-D LASER etched glass paperweight which is also our most popular product/souvenir.